OK, you’re sick and hurting. Can’t we still hit you up about donating to our hospital? Already-admitted patients shouldn’t be flummoxed if they’re moved into a bigger, quieter, and nicer room. 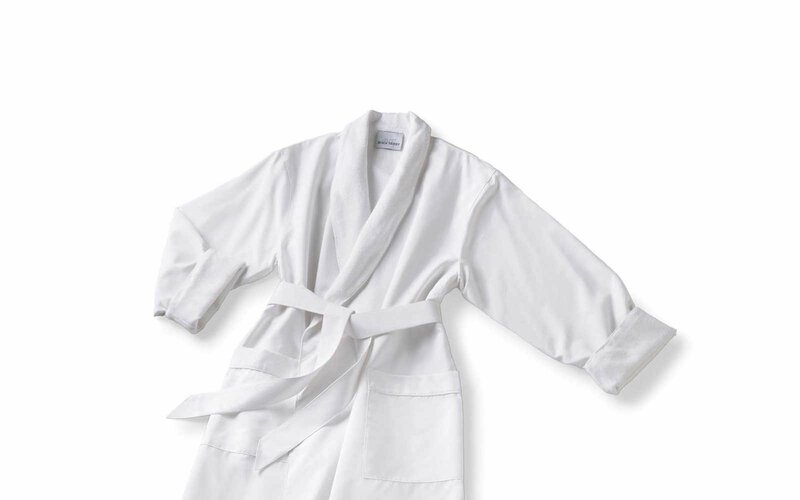 There, a fluffy complimentary robe may await them. They may receive a warm welcome from well-attired executives — those senior enough so their pictures may even hang in pictures on the hall walls. And, yes, make no mistake, their nurses and doctors really will be kind and attentive. Welcome to high-roller care as it’s delivered now to a select few by staff in at least three score big hospitals and academic medical centers nationwide, including Johns Hopkins and MedStar Health in Columbia, Md. You won’t necessarily seek out or request this special attention. It turns out that hospitals will know you’re posh enough to merit it because loopholes in privacy laws allow them, using special software, to run regular searches through patient rosters to determine which guests also might be potential and lucrative donors, reported the independent, nonprofit Kaiser Health News service in a story that appeared in the New York Times. You also may allow the pitches because, likely unbeknownst to you, you signed a form giving your permission for it in that mountain of admission paperwork. Yes, you’re sick and hurt, and maybe this isn’t the time to make that ask for a gift. Hospitals say they strive to offer quality care to all. But as Orwell observed of the barn yard, some piggies are more equal than others. And nightly “wealth screenings” of patient information, hospitals say, can suggest who might be grateful enough to sign a check for a generous gift. A little extra attention goes a long way in promoting donations that have become a strong, added revenue source for big institutions, the KHN story reported, noting that philanthropy experts tallied donations to hospitals in 2017 amounting to $10.4 billion, up from $6 billion in 2004. Doctors and medical ethicists say they can be queasy about what big hospitals insist is a careful, appropriate, and not at all unseemly form of financial solicitation from folks in their care. There’s no arm twisting or obvious appeals, hospitals insist. Doctors are encouraged but never forced to let patients know that, if they think well of their treatment — by their caregivers, the hospital, or any staff or volunteers — others have rewarded the kindness with donations. These can be arranged if patients want to talk with accessible gift specialists. [He] wasn’t initially interested in making a large donation … because he didn’t believe that the nonprofit health system — the largest in Northern Virginia, with five hospitals and $3 billion in annual revenue in 2016 — needed the money. But … he … changed his mind after [he was] told … that such donations were essential for staff training and buying equipment and has donated $200,000 to the hospital. In my practice, I see not only the harms that patients suffer while seeking medical services, but also their struggles to access and afford safe, efficient, and excellent medical care. This is truer in a time when the cost, complexity, and uncertainty of treatments, prescription drugs, and hospitalization keeps heading skyward. In 2017, Americans spent more than $1 trillion on hospital care, no tiny sum and an indicator that the institutions, despite their poor me cries, are far from going broke. It’s great that anyone with means believes in sharing their wealth, especially if it benefits needy others and improves their medical care. As the KHN underscores, however, it’s already affluent institutions that know most and ask best of their well-heeled patients. Translation: This is yet another example of the rich getting richer, as smaller, poorer, and community hospitals don’t have the time, money, people, or resources to pursue patient-donors and their gifts as aggressively as wealthy, elite institutions can. Big hospitals and academic medical centers long have sought to distinguish themselves — and to justify their often nose-bleed prices — by handling difficult and complex cases, teaching tomorrow’s doctors, and conducting research in medical science. These activities can be time-consuming, especially if caregivers offer patients their fundamental right of informed consent, letting them fully know and understand their rights and options to choose what they want done to them, by whom, and how. Given how little time doctors insist they can devote to patients — as little as 15 minutes in a typical office visit — it would be a shame if any precious medical moments went to pitches for gifts. Considering, too, how hospitals and their chains struggle with hundreds of breaches annually, is it comforting to know institutions are delving electronically into not only patients’ medical but financial data?